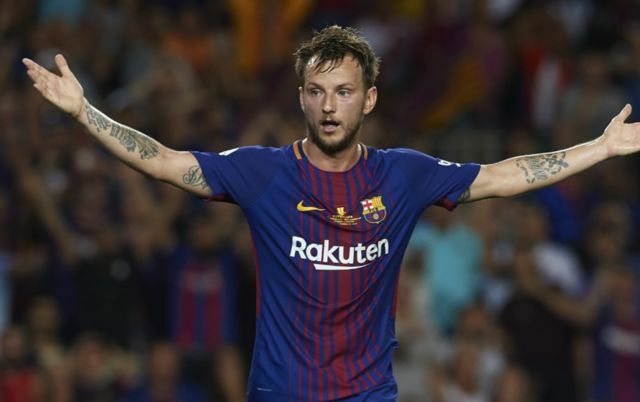 Manchester United manager Jose Mourinho is reportedly waiting for Barcelona president Josep Maria Bartomeu to give him the ‘nod’ before making a move for Blaugrana midfielder Ivan Rakitic. This is according to Don Balon, who note that the Red Devils boss will be waiting for Barca to turn down an offer for Rakitic from PSG before making a move for the World Cup finalist. 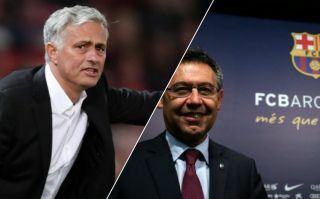 The report also notes that Mourinho is determined to bolster his midfield options, and that Ernesto Valverde is defiant in his claims that Rakitic will not be sold by the club, something that may mean United’s attempt to land Rakitic may be a little tricky. Man United’s midfield is already fairly stacked, so it seems weird for the club to want to sign a player who is soon-to-be in the twilight years of his career. Mourinho’s side already have stars like Paul Pogba, Ander Herrera, Fred, Nemanja Matic, Juan Mata and Jesse Lingard to pick from in midfield, and one wonders how Rakitic would be able to climb above at least three of these in the pecking order and claim a starting role at Old Trafford. Rakitic has proven to be a key cog in Barcelona’s system since his arrival from Sevilla in the summer of 2014, so it’s no surprise to see Mourinho wanting him to move to Old Trafford. Only time will tell if Mourinho and Man United are successful in their pursuit of Rakitic, one that we’re sure their fans are eager to see them be victorious in.